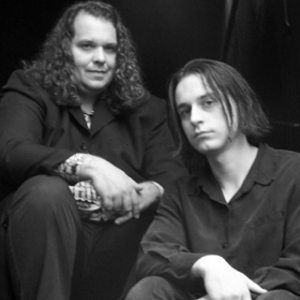 Droom was formed in the summer of 2002 by Graham Jackson and William Winslow-Hansen from the smoking ashes of aLUnARED. They immediately began working on tracks for their debut album, "128 ? days". They enjoyed the success of two club hit singles, "while we can" and "stay! ", and they quickly gained a growing fanbase in the underground music scene. Droom played select shows around north america, but continued to spend the majority of their time on writing and recording new material. Droom played select shows around north america, but continued to spend the majority of their time on writing and recording new material. When "128 ? days" was released it charted on many online and college radio charts in north america and around the globe. It also received glowing reviews from many critics. Finding doors repeatedly slammed in their faces by the established music machine, Droom decided to pave it's own way in order to bring their music to their fans. When they felt that they had recorded enough material to comprise a 2nd full length album, Droom formed their own record label to release their future material in north america and signed a deal with Black Flames records to release and promote their music in Europe.